Fall theme Eggplant purple and Rusty Orange wedding invitation with a tree branch design created by A Vibrant Wedding. To view our extensive portfolio or to customize your own, please contact us at http://www.VibrantWeddings.com, avibrantwedding@gmail.com or (619) 852-6886. $8.00 per invitation suite for a set of 100 invitations, fully assembled (matted layers of card-stock paper glued onto one another). 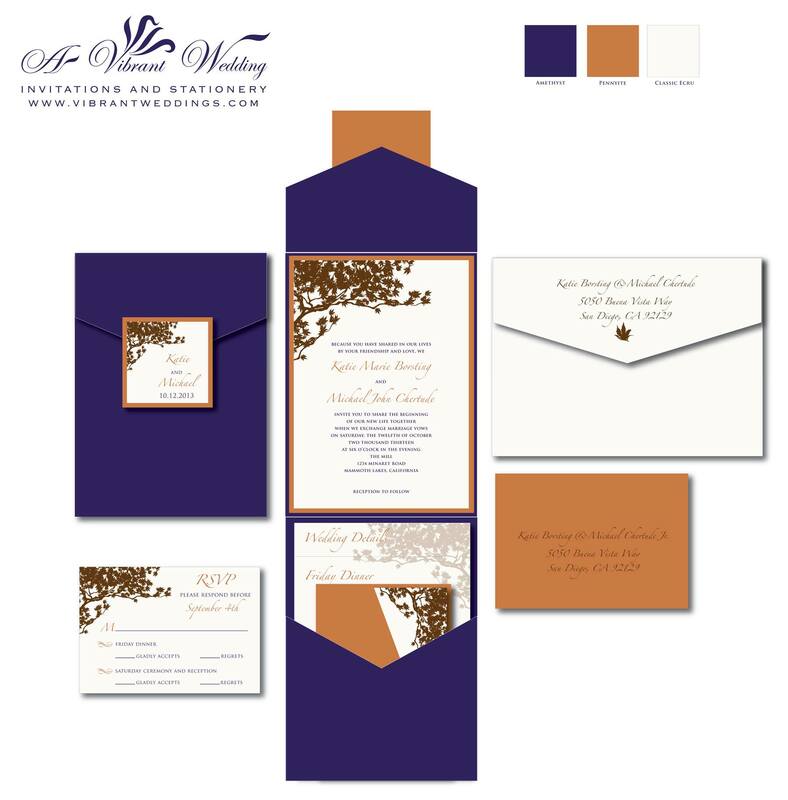 Includes: 5X7″ Pocket-fold invitation in the matte Amethyst-Purple cardstock, Double-layered invitation on the inside with a metallic cardstock border in Pennyite-Orange, printed on matte Ecru-Ivory cardstock, a matching double-layered outer square seal, a flat 3.5×5″ RSVP card. Large 5×7″ blank envelope in matte Ecru-Ivory and the small 3.5×5″ envelope in the metallic Pennyite-Orange paper. 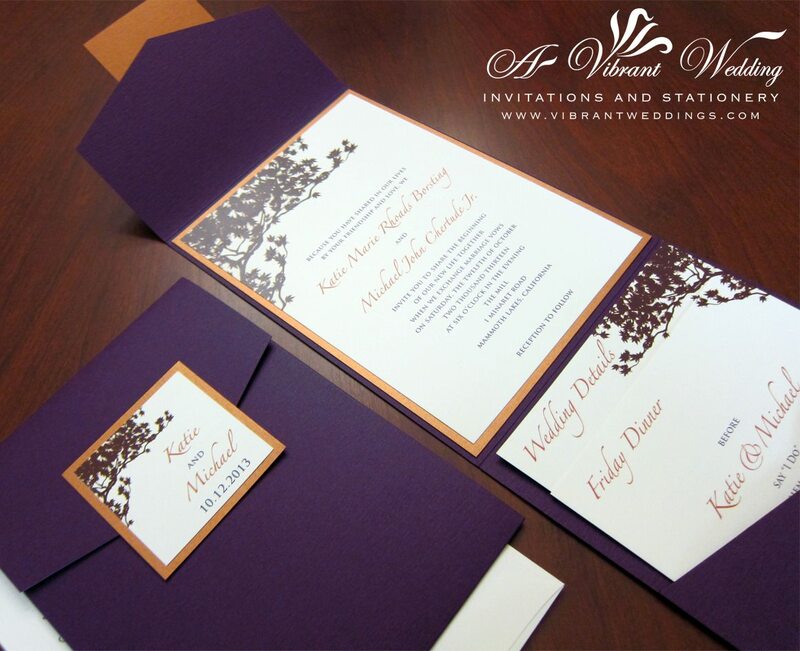 All of our invitations can be customized in any color and pocket style of choice. Different pocket orientations and sizes available.